Figure 1a: The PLU research site in Berlin-Kreuzberg. 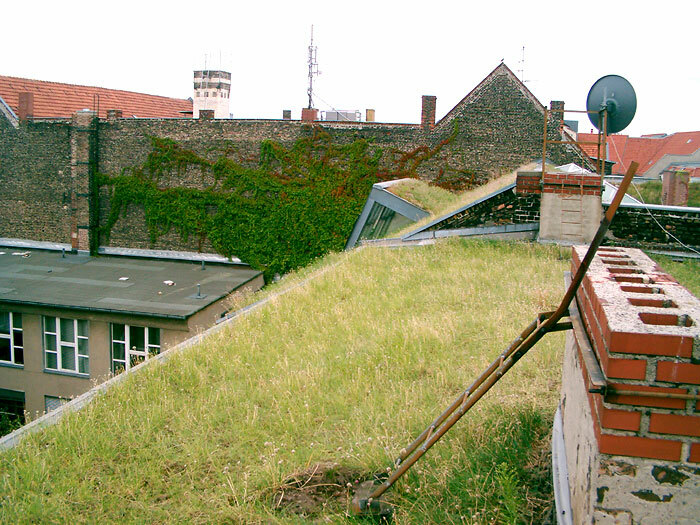 In the foreground is flat sub-roof 9, which had the highest plant diversity of all the 10 sub-roofs in this project. The north-pitched sub-roof 10 is visible in the background; it had the lowest plant diversity.